It’s about time we shared the incredible work of our surrealist artists who are re-inventing this traditional art movement in the digital era of the 21st century. Though each of their styles are unique, they all share a common desire to tell imaginary stories. Surrealist Art has seen a major boom in popularity, building a particularly active and supportive community on social media. 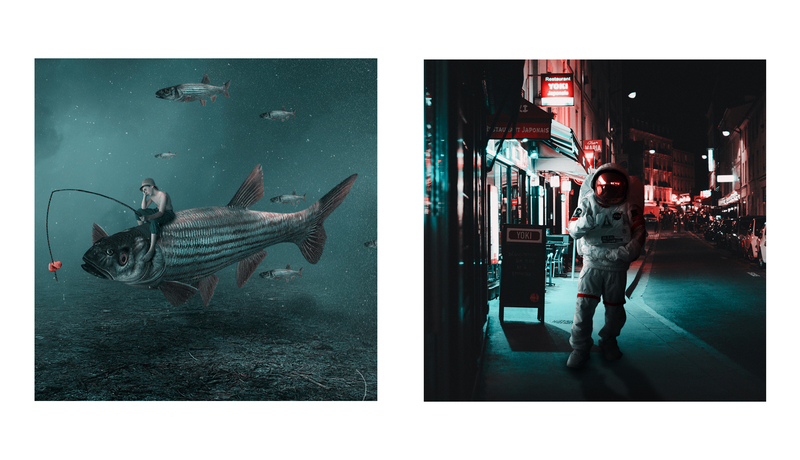 From established Instagrammers to digital debutants, we proudly present to you a selection of miPic artists who’ll blow your mind with their creations. DiegoPH is a Mexican artist who joined us in July 2017. Lighting plays a major role in his compositions. His work is usually set in a dusky ambiance with soft pastel colours, transmiting a great sense of tranquility. Click through to his miPic profile for more unbelievably picturesque settings. 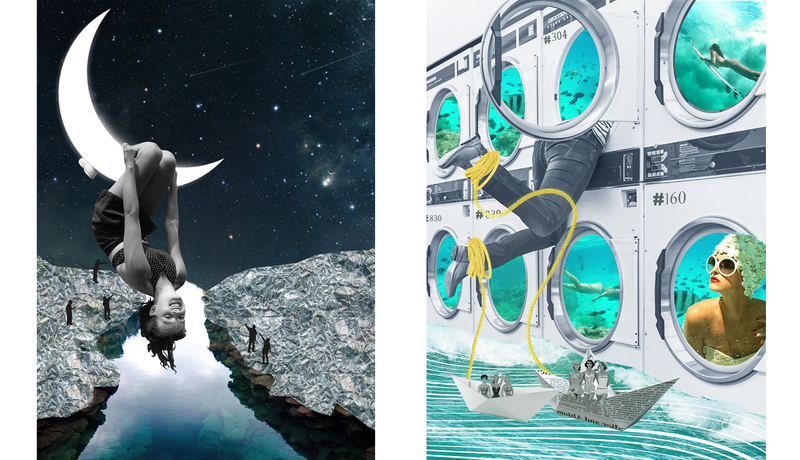 Just Another Space is a multi-talented architect with a passion for surreal collage. Her work usually juxtaposes three elements which include vintage imagery, landscape and background patterns. She assembles them in a distinctive ‘cut-out’ style to create funky compositions. Get a better feel for her style by visiting her miPic gallery. Similarly, Telmitadastreet recently joined miPic with her bold pasted imagery. 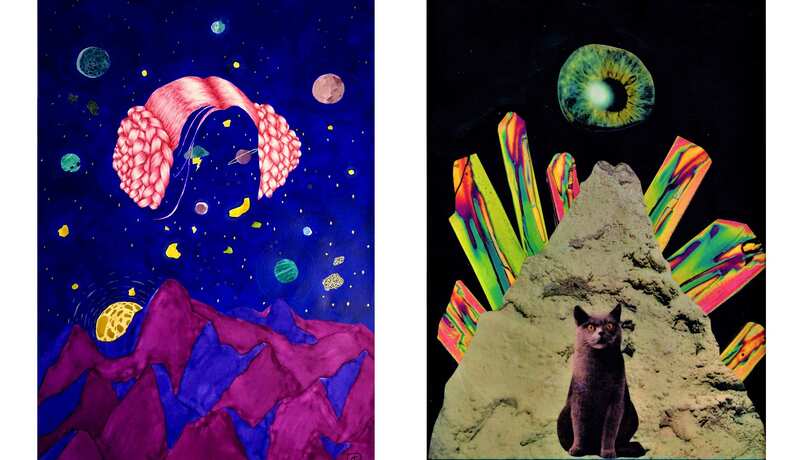 She recreates a cosmic feel with colourful shapes, layered over dark space-themed backgrounds. 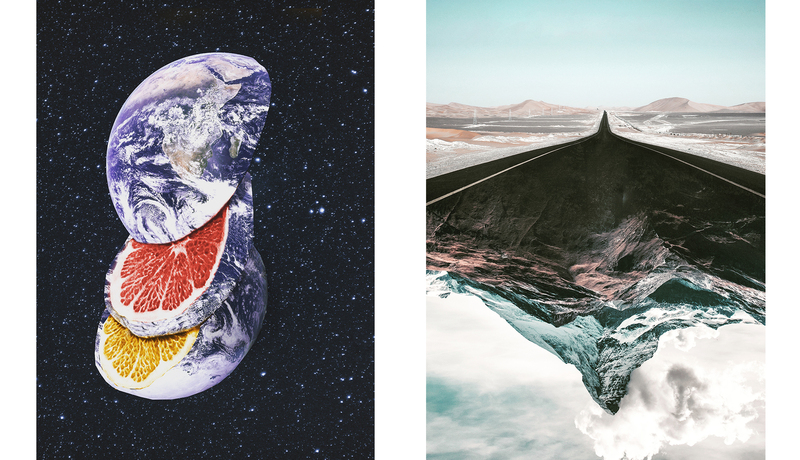 She manages to assemble all sorts elements to create fun and random compositions. View her quirky gallery here. 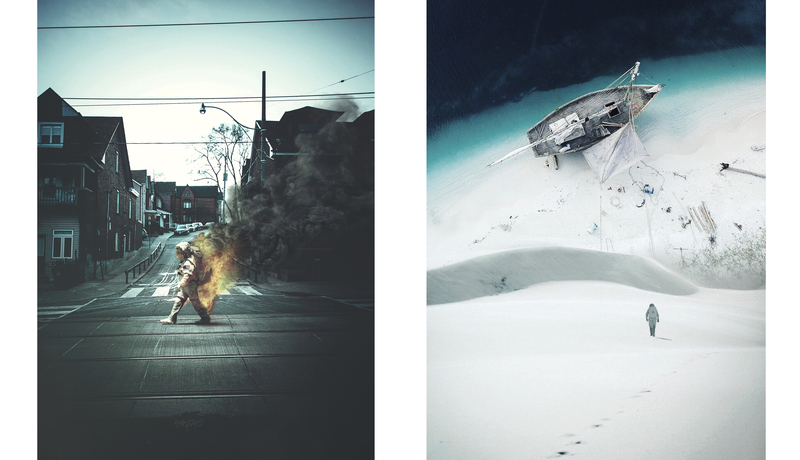 Nak Bali, as his name suggests it, is an Indonesia-based artist with an impressive set of digital manipulation skills. 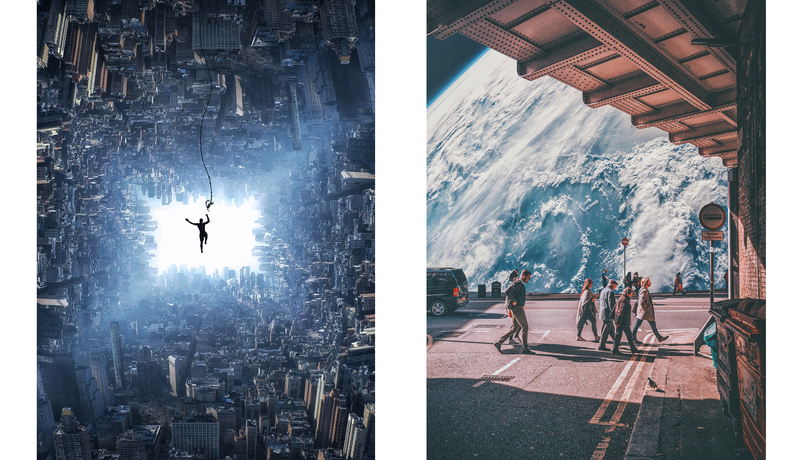 His work is highly recognised by the Surrealist Art online community, to the point where he was spotted by Photoshop and took over their account for a week. Imagine Inception on Instagram with hints of fantasy, that’s Nak Bali in a nutshell. Take a look at his gallery to discover more of Nak Bali’s visual imagination. Chan is another talented digital artist with a distinctive colour palette. Could you believe he’s only 17? His imagery is marked by a consistent use of teal-blues and reds. His work often conveys a mysterious and slightly catastrophic vibe. You can view his gallery here. Hakemo’s signature element is undoubtedly the astronaut. His work usually presents a casual setting of the everyday with a random astronaut disrupting the normality of the pieces. View more of Hakemo’s cosmic reality by clicking onto his miPic gallery here. Imagine a giant whale make its way through a cloudy sky? 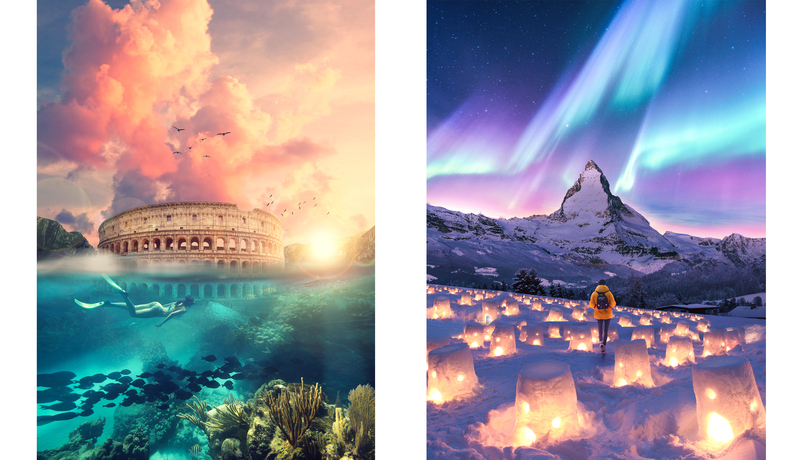 This dream becomes reality in Darenzd’s work, bringing to life a vivid imagination through digital surrealism. His work often features floating objects or animals, conveying an eerie feel to imaginary fantasy. His gallery is definitely worth a look, click here. Have we got you inspired? Join the miPic community and sign up here www.mipic.co/for-artists/ or visit our website www.mipic.co to buy these images on all sorts of products!